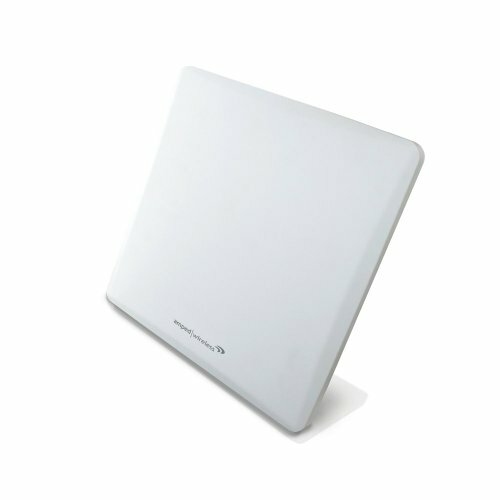 The Amped wireless High power 14dBi directional outdoor Wi-Fi antenna is designed to increase the signal strength and range of your 2.4GHz 802.11B/G/n Wi-Fi device in a single direction. The High gain antenna provides Wi-Fi devices, such as routers, access points, adapters, cameras and bridges, with more powerful, directional, point to point, Wi-Fi coverage. The AD14EX replaces the antenna on your existing Wi-Fi device and concentrates your Wi-Fi device's signal into a single direction to Cover distances of up to 1.5 miles*. the High power outdoor antenna kit includes everything you need to mount the antenna outdoors on a wall or on a pole.